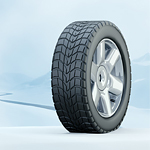 Driving all year around on winter tires is something that is tempting to a lot of people. The idea occurs to them because they assume that if they can get better traction from winter tires in snowy and cold weather then they ought to keep them on all year long. However, this is not recommended. The same material that makes winter tires work so well during those winter months is exactly what can undo them in the warmer months. They start to wear down and you run the risk of lowering the performance of your vehicle on the road in general. You will actually end up spending more money by using winter tires all year than you would if you switched them out as you are supposed to when the seasons change. There are no advantages to keeping your winter tires in use all year. Just switch them out as the weather starts to warm up.